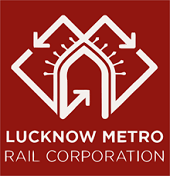 Online Application Details for Lucknow Metro Rail Corporation Limited LMRC Recruitment of 358 Non-Executive is given below. Download LMRC Admit Card 2018 @ lmrcl.com from 09th April onwards. Lucknow Metro Admit Card 2018 will be available for SCTO, CRA, JE 386 Vacancies. Exam will held from 16th April, 06th May & 13.05.2018. Check LMRC Hall Ticket 2018 by Application No. and DOB from this page.